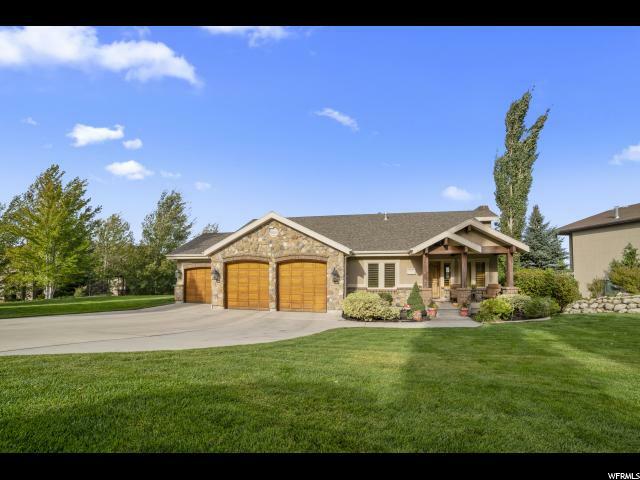 All THE BOULDER RIDGE homes currently listed for sale in Sandy as of 04/26/2019 are shown below. You can change the search criteria at any time by pressing the 'Change Search' button below. "* STOP BY THE OPEN HOUSE FRIDAY BETWEEN 4-7!! *Immaculate executive home with impressive mountain & valley views in all directions! Located near Little Cottonwood Canyon in one of the areas finest gated communities! The interior is flooded with natural light and has an exceptional floor plan. The lower level is all above ground and has 12' ceilings. Quality finishes throughout! Large gourmet kitchen with new quartz counters & back splash. Luxury master suite with a huge closet, great room, big family room, wet bar, new hot tub & new furnace and A/C. Beautifully landscaped .76 acre lot, deck system overlooks Dimple Dell Equestrian Park, minutes from world class skiing, mountain biking & hiking! TO VIEW 3-D TOUR CLICK TOUR"